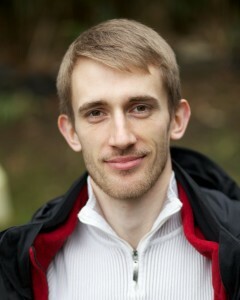 I’m Martin Koban, the creator of Fix-Knee-Pain.com. My goal is to help you get back to living your life the way you love by getting rid of your knee pain. Millions of people have already used my material and I’d love to help you too. If you’re not seeing the results you want from going to doctors or doing physical therapy, the treatment failed to solve the root cause of your knee pain. This hidden cause of your pain can be anything from muscular imbalances over bad movement techniques to dangerous dietary choices that destroy your tendons and cartilage, to name just a few examples. Unfortunately, the majority of doctors and physical therapists ignore these hidden causes when treating you, which is why you’re still in pain. As a simple analogy, if you had squeaky door, my approach is oiling the hinges and adjusting alignment. Most doctors will just hand you earplugs and tell you not to use the door. 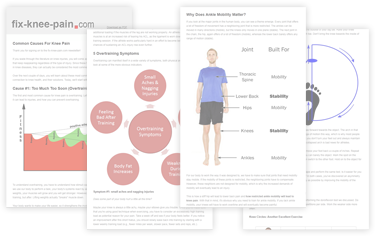 I’ve been researching hidden causes of knee pain since I started this website in 2011. My approach combines up-to-date academic research, the experience of internationally renowned movement experts, and potent anecdotal evidence. I share my knowledge freely. 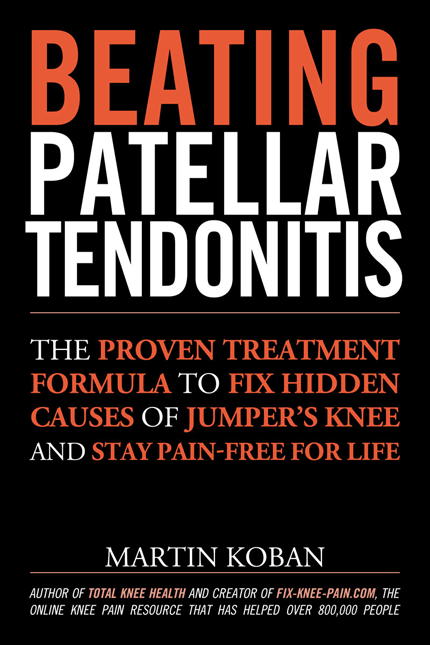 Get started healing your knees right now by joining my advanced course or by reading my book Beating Patellar Tendonitis. I’m not a doctor or physical therapist. I began researching knee pain out of necessity. I’ve been playing basketball and volleyball for most of my life and after 15 years of enjoying these games, I eventually developed knee pain around 2009. I thought I was doing everything possible to treat this injury. I was stretching regularly, warming up before games, strengthening my legs, and doing whatever else doctors suggested might help. However, the pain never stopped and only grew worse. Every time I thought I had made progress, the pain returned. The whole experience was so depressing that I almost quit playing my sport. Today, my knees are completely pain-free. I can play my favorite sports and train exercises that are tough on my knees, such as deep single-leg squats, without having to worry about knee pain. I didn’t think this was possible, but my legs are now stronger than before my injury. 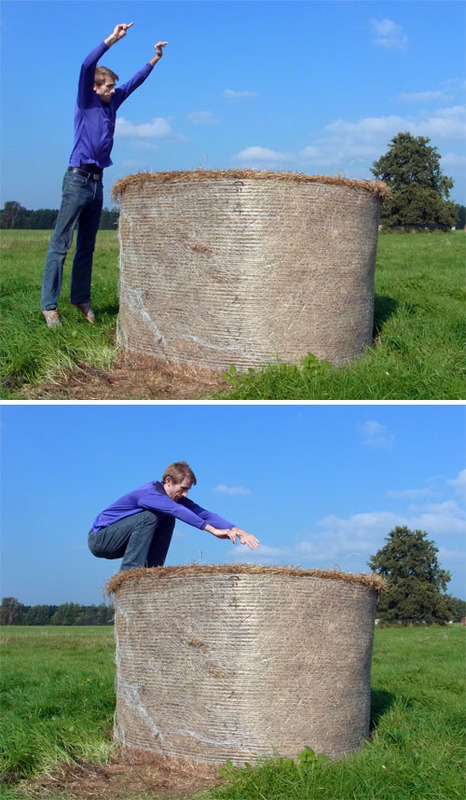 A picture of me goofing around with a 47-inch barrel of hay. Using what I learned through years of research and self-experimentation, I can train my legs to get into even better shape without any risk of knee pain. Do you want to get rid of your knee pain? Imagine jumping out of bed in the morning like you used to back when it didn’t hurt. If you love being active, but feel like a prisoner in your own body because of knee pain, I’d love to help you! Join my advanced course to find out how you can get rid of your knee pain by fixing hidden causes of pain that 99% of doctors ignore.